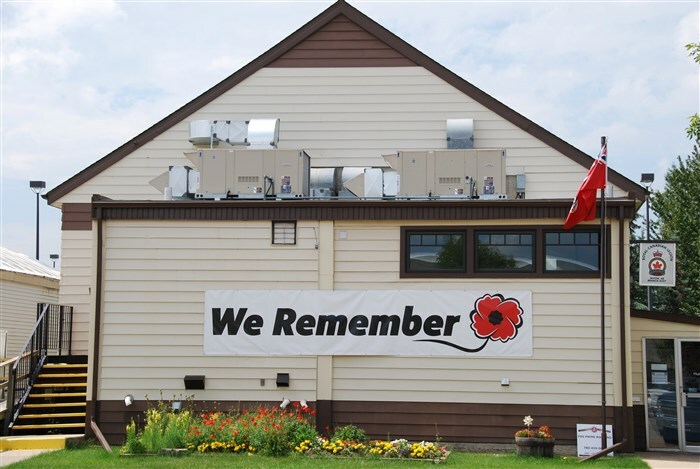 Thank you for supporting The Royal Canadian Legion Devon Branch No.247, chartered on May 7th, 1949. Executive Meetings start at 07:00 PM on the first Wednesday of each month year round. General Meetings start at 7:00 PM on the third Thursday on the months of January, March, May, September, October and November (no General Meetings on the other months). A "Special General Meeting" is being held on Thursady April 18th 2019 at 6:00 PM in the Legion Hall to deal with two pressing business issues. The next General Meeting will be held on Thursday May 16th 2019 at 7:00 PM in the Legion Hall. Don't forget that our Legion Hall is available to rent for your meetings, conferences or special event. Click here for rental rates. Please contact us for more information. The Deputy District #8 Commander Comrade Bob Peterson installed the Devon Branch No. 247 members of the new 2019 Executive Officers and Executive Committee Chairs on Thursday January 17th 2019 at 07:00 PM in the Devon Legion Hall. Congratulations to the new executive! Click here to meet the 2019 Executive Officers and Executive Committee Chairs. Remember that every Saturday in the Legion Lounge is the ever popular "meat draw" that runs from 3:00 PM to 5:30 PM. The Royal Canadian Legion Mission Statement: "To serve Veterans, which includes serving military and RCMP members and their families; to promote Remembrance; and to serve our communities and our country".